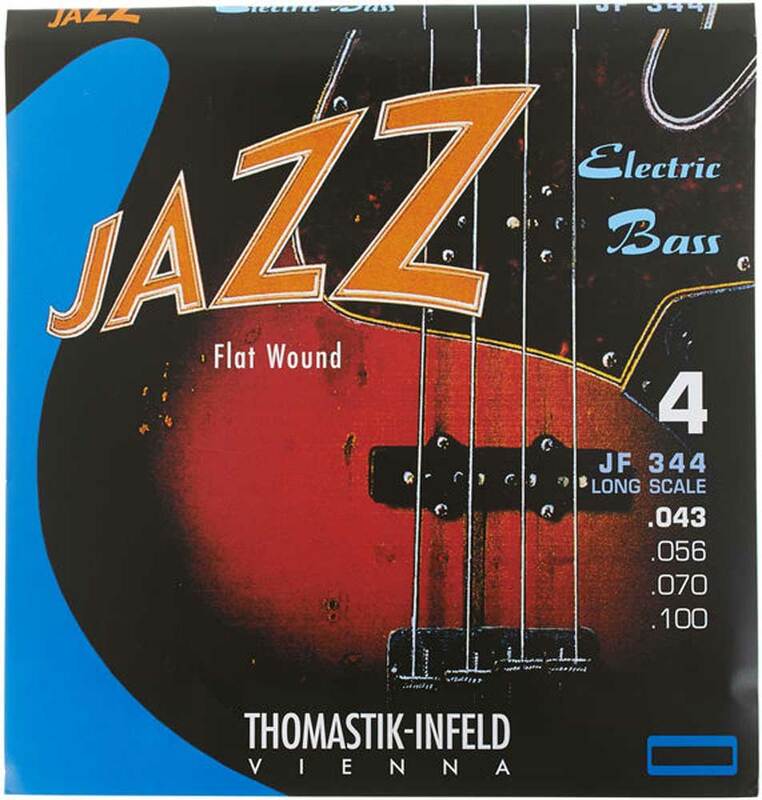 Jazz E-Bass strings deliver a smooth, warm and balanced tone. They have an extended durability and high output. A highly flexible steel core gives the strings a balanced feeling and a special character. The overall sound characteristics can be described as very close to the double bass. Wonderful, warm tone, flat strings. The strings are very flexible and balanced, the tension is just right, lower than other flat strings, thanks to the peculiar structure, which allows to successfully implement any right hand technique. The fundamental is deep and the harmonics, when needed, come out in all their purity. When desidered, by implementing the proper right hand technique you can produce a sound that resemble the upright bass one. Apparently are expensive, but when kept in consideration that you put them on your bass and you leave them there for years, they are the most convenient strings I know of.